It was only a century ago that Russia was the center of world literature. Writers streamed from all over the world to Yasnaya Polyana to bow before Tolstoy, like pilgrims to Jerusalem. And in Russia the authority of this writer was so great that, should he, the great writer, have decided, say, to be elected czar, it is doubtful that Nicholas II could have held on to his throne. The snag is that Tolstoy didn’t consider power to be worth a brass farthing—and that it is impossible to be elected czar: in Russia, legitimate power is derived only from God. It is also impossible, I should add, to be elected a great writer. But where did this power of literature come from in Russia? At the time that Shakespeare was penning Hamlet’s monologue in the West, in Russia there were no poets or writers to speak of. There were only czars and holy fools. God gave the Russian people the king-emperor and the fool-in-Christ. The former held sway over the lives and deaths of his subjects, the latter was the only one who could speak truth to the tyrant. Recall the famous scene in Pushkin’s Boris Godunov, when the holy fool exclaims: “It is forbidden to pray for Czar Herod, the Holy Mother forbids it!” The counterweight to the sanctity of power was the sanctity of Christian conscience. Back then, the Russian atlas of the world looked something like this: the holy Fatherland in the center of the world, the only truly Christian country, surrounded on all sides by an ocean of enemies. Centuries-old servitude to the czar meant a confiscation of body and will and mind, but in exchange it elevated the soul and conferred a righteous purpose on existence. What looked to ambassadors from the banks of the Rhine like Russian despotism and slavery seemed on the banks of the Moscow River a committed participation in a common fight, in which the czar was the general and everyone else was his child and soldier. The absence of a private life was compensated for by the sweetness of dying for the homeland. The stretch of the Fatherland across geography and time was the down payment for personal salvation; the unconscious slavery was bitter for the body but life-sustaining for the spirit. Russia, like Noah’s ark in the flood, fulfilled the mission of saving sacred life on Earth. But everything changed with Peter the Great. He wanted to “cut a window to Europe,” but instead he cut a hole in the Russian ark. Russia’s regular historical paradox is that its rulers want one thing but the result is often something entirely different. Peter the Great wanted to strengthen the empire, but instead he placed a bomb beneath it, which destroyed it. In our time, Gorbachev wanted to save communism and instead he buried it. The point of Peter’s reforms was to obtain military technology from the West in order to do battle against that very same West. In the eighteenth century, a torrent of Gastarbeiter came to Russia from enlightened Europe. The Russians had invited engineers and specialists, but those who came were people, and they brought with them European ideas of individualism, personal rights, and human dignity. Modern technologies demand education, and education inevitably brings with it the concept of personal freedom. And that is how Russia got its intelligentsia. Poets appeared in Russia in the eighteenth century. They wore officers’ uniforms and mostly wrote odes for the accession of German empresses onto the Russian throne. In a country where life was lived according to the wartime principle of unity of command, everyone including poets served the government, which was personified by the autocracy. But everything changed with Pushkin. Born in a country where serfdom was only the formal expression of a deep internal psychological slavery, he achieved the most important Russian coup, the greatest Russian revolution: in opposition to the pyramid of power, at the head of which the Czar administers the fates of individuals and nations, he created an alternative pyramid, at the head of which stood the poet. The juxtaposition of the czar and the holy fool—the old divided paradigm of authority—was exchanged for the juxtaposition of the czar and the poet. soars higher than the Alexandrine Column. Those lines of the poem “Exegi monumentum” became the poet’s declaration of independence, his appointment of himself as head of another Russia. The state in Russia fears the poet because, beginning with Pushkin, he (or she) is a power independent of the state and insubordinate to the state, a power just as sacred—the representative of another country, but one that falls within the borders of the same empire. The resulting duality of power led inevitably to conflict: how can two powers, both appealing to a higher divine authority, coexist in one totalitarian state? This was the ultimate question of Russian literature, to which every generation of Russian writers painfully sought an answer: should the poet be with the czar, or against him? Pushkin’s muse was a tyrant-fighting muse, or, to use the contemporary terminology, a terrorist muse. The poet was exiled by the czar’s edict to his family’s estate. His poem “The Dagger” was copied and passed around among the Decembrists, officers who had carried out the unsuccessful plot against the new czar, Nicholas I, in December 1825. Among those planning the regicide were some of Pushkin’s friends. The new czar summoned the exiled poet to the Kremlin on the occasion of his coronation, and asked him: with whom would he have sided that December day? Pushkin answered honestly that he would have been with his friends. It was the moment of truth for Russian literature. The czar could have destroyed the poet with one stroke of the quill. But Nicholas sensed that czarist power in Russia could not exist without the blessing of the other supreme power. The wise Nicholas was forced into a compromise and named himself the First Reader of the First Poet. That discussion in the Kremlin between the poet and the czar was the beginning of the diarchy in Russian culture and consciousness. The young Pushkin, author of “The Dagger,” ceased to exist. He was replaced by a mature Pushkin, Russia’s national poet. The former praised violence as the path to freedom. The latter knew that violence led nowhere. Pushkin gave an answer to the “cursed” Russian question that occurs to every Russian born in an empire that is constantly waging war against foreigners and against its own people: how should one view this government and these people who are constantly waging these wars? The study of Russia’s history, the history of its czars and its popular uprisings, as well as his own healthy understanding of reality, led the poet to the conclusion that the worst that could happen in Russia is revolution, a “pointless and merciless” uprising, and that the government is “the sole European in our country.” Pushkin saw that in Russia the choice between dictatorship and democracy was beside the point: the only choice was between bloody chaos and ruthless order. He grasped that a weak Russian government would not bring about a grassroots democratic system, but only anarchy, and that its first victim would be culture. He also foresaw that the restoration of order would become the task of an even stronger and more ruthless dictatorship. It’s as if Pushkin had intuited what would happen in Russia in the twentieth century. It was this logic that informed the decision of Russia’s first national poet to choose the side of the czar and his strong hand, which became the guarantor of both private life and culture. Pushkin studied the history of the Pugachev peasant revolt, the brutal popular uprising in the eighteenth century, and he understood that, in a Russian revolution, the first things to burn will be the libraries. Russia had a strange situation on its hands: one territory now contained two nations, completely different in spirit and culture, though they both were Russian and both spoke the same language. One part of the people, millions and millions strong, lived in the provinces, poor, uneducated, slowly drinking themselves to death, and mentally still residing in the Middle Ages. The other part was concentrated in the two Russian capitals. They were educated, well-off, well-traveled, and with a European understanding of the democratic organization of society. For one set, only the czar-father and his iron fist can bring order to Russia. For the other, the entirety of Russian history is a bloody swamp, from which Russia must be pulled into a liberal European system. What was happening in Pushkin’s Russia, in sum, is extraordinarily reminiscent of what is happening in Putin’s Russia. In my country, we are still playing the same game with the same rules for three players: a people that (in Pushkin’s words) “exude silence,” a nascent society that demands “Swiss” democracy and declares war against the government, and a government that is left with two options: to retreat or to tighten the screws. Czarist Russia retreated in the face of democratic Russia to the point that the pyramid of government power disintegrated. In February 1917, Russia experienced a bloodless democratic revolution: the “other” Russia had won. But the chances of survival for this newborn civil society were nonexistent—after all, they were in the middle of a world war. So the first Russian democracy existed for only few months, during which the country sank into chaos. The capricious muse of history used the communist ideology to rebuild the old patriarchal order under its guise. But compared with Stalin’s dictatorship, the old czarist “prison-house of the nations” came to seem like a gingerbread house. The “other” Russia was destroyed in the most literal physical sense: millions of people emigrated, millions more were eliminated in the Gulag. And the national atlas looked once again like it had in the Middle Ages: the sacred Fatherland with the one true communist ideology at the center of the world, surrounded by an ocean of enemies. From the times of Pushkin and Nicholas I, it was no longer enough for the earthly czar to be anointed by God; the ruler had also to be sanctified by Russian literature, the second sacred Russian power. That is why Stalin’s regime was so concerned with perpetuating the memory of the classic Russian writer. If Orthodox czars based their right to own the bodies and souls of their subjects on heavenly law, the Communists legitimized the dictatorship of the party with “scientific” theses such as, “The teachings of Marx are omnipotent because they are the truth.” But the real sacred figures who could sanctify the state were Pushkin and Gogol—the poets and the writers. When the people followed the Communists at the beginning of the twentieth century, they gave up Christ, but they found it impossible, as the revolutionary poets exhorted them, “to throw Pushkin overboard the steamboat of modernity.” They could not raise their hand against that which is most sacred for the Russian soul. So this prison state built monuments to Pushkin everywhere, trying to seem righteous in the people’s eyes. Generations of Russian authors, like moths blindly rushing toward the flame, flew toward those in power. And there was not a single case in which it ended well. The result was that it seemed that Pushkin and the other classic writers were made to support, at least symbolically, the transformation of the entire country into a Gulag (though it would hardly have stopped the Leninist “humanists” from executing Tolstoy, had the old man lived a little longer). From Pushkin comes the Russian literary tradition of keeping as close as possible to the First Reader. Generations of Russian authors, like moths blindly rushing toward the flame, flew toward those in power. And there was not a single case in which it ended well. It is enough to recall the death of Pushkin in a duel, or the suicide of Mayakovsky. The other Russian tradition for how a poet should comport himself toward the state was formulated by another great Russian poet, Joseph Brodsky: “If you were fated to be born in an empire, it’s better to live in a distant province by the sea.” An extreme example of this code of conduct was Tolstoy’s last run. And Brodsky’s own life was a textbook case: exile to the north in his youth, an internal inability to compromise with the regime, and emigration to a “distant province by the sea.” With his move, Brodsky made this New York province by the Atlantic the capital of Russian poetry. The “other” Russia is not a geographical concept. It exists where there are “other” Russians. And so it was that over the course of several generations, the “other” Russia, the Russia of poets and writers, the Russia of culture, destroyed in the Soviet Union, was preserved underground and in emigration. The empire built by Stalin could have lasted much longer, but a miracle happened. One after another the supreme slaves died, and the country-jail simply fell apart. In the late 1980s and early 1990s, my people got a unique opportunity to build their lives differently, to make their own choices. I remember that marvelous feeling when the Soviet era was ending and, for the first time, I could proudly consider myself a citizen of my country, responsible for its future. Twenty-five years ago, we went off to protest against the regime, to defend our honor and dignity, and to say to the government: we are not slaves! Happy is the generation that was lucky enough to experience this. My new Russia has to begin with the kids, I decided, and with the launch of perestroika, I went to work in a school. In Russia, unlike in Germany or Switzerland, a school is at the very bottom of the social ladder, likely because there is nothing to steal there. In those years, I began to believe for the first time that something depended on me. I wanted to change my country, and working at a school was exactly the way to change it. Suddenly I felt that I was in the most important place at the most important time. It seemed that, finally, life according to prison rules—the strongest gets the best bunk—was ending in Russia, and a new one was beginning, lived according to one central rule: the law of protecting human dignity. It seemed to me that it was I who was changing the country. The totalitarian system was molting into a democratic one before my eyes. It was an astonishing feeling: we had been raised to be obedient slaves, and then, all of a sudden, you were taking responsibility for all that was around you. August 1991 and the failed coup against the reformers became the boundary, the border, between the nauseating Soviet past and—as it seemed then—the bright future, full of hope. We believed that over the course of a violent century the country had sated itself with enough blood, and that a dignified human life was beginning—and that, most importantly, there would be no more blood. The fact that the failed putsch did not cost thousands of lives seemed symbolic. The country’s freedom was bought with the lives of three young men. We went to their funerals. And it was also symbolic that one was Russian Orthodox, one a Muslim, and one a Jew. At their funerals it was said that these three youths had given their lives for our common freedom, for a new and free Russia. I, too, believed that theirs would be the last blood spilled in my country. But alas, it was but the first blood of the new Russia. The time of hope ended and the time of disillusionment began. In October 1993, the new “democratic” state was the one shelling its own people in Moscow. Blood ran in the streets of Russian cities in endless criminal conflicts. In 1994, the Chechen war broke out. Through the veil of democratic rhetoric, one could again discern the outlines of old, eternal Russia. For some reason, we neglected to remember that we already had all these words. We had Stalin’s Constitution of 1936, which was “the most democratic constitution in the world,” and we were regularly mobilized to vote in elections. We forgot that all the good words crossing our borders lost their original meanings and began to mean anything other than what they were supposed to mean. Who would have thought that the Communist Party would leave but we would stay, and all the best words—“democracy” and “parliament” and “constitution”—would become just the billy clubs in the eternal struggle for power and money in the new, free Russia? The guards proved impossible to chase out because each of us was our own best guard. Even if you don’t quash the rebellion in the prison yard, it will eventually end on its own, and in the prison yard of our country it ended with everyone returning to their barracks. We had to live, after all. And order returned on its own, the very same order because no one in Russia knows a different one. The best bunks again went to the strongest, who had consigned the weakest among them to sleep by the latrine. Russia’s second attempt at democracy was over. The empire had shed its skin, but what came through on the other side was painfully familiar to those who had lived in “the good old days.” In the course of twenty years, it became clear that democratic re-education in Russia had been debased as mere words that hid the gangster organization of society and the government. The Mafia, as it exists in other countries—that is, parallel to the government—does not exist in Russia. In Russia, the Mafia is the government, the arch-enemy of law and society. The twentieth century locked Russian history into a Mobius strip. The country tries to build a democratic society, and once again it ends up an empire. The twentieth century locked Russian history into a Mobius strip. The country tries to build a democratic society, to introduce elections, to create a parliament and a republic—and once again it ends up an empire. The perestroika dreams of Europeanizing the country collapsed. Once again it has been confirmed that Russia is a wonderful country for scoundrels, and for those who battle scoundrels. (The latter do much less well, though.) This empire is not designed for “normal” life. If, by your nature, you are neither a fighter nor a scoundrel, and you merely want to live your life with dignity, working honestly for your family’s bread, you still have no choice: every day pushes you toward one or the other. You don’t want to be a scoundrel like the rest? Then become a fighter, tragically ready to sacrifice everything, even your family, for the sake of the fight. You don’t want to be a hero and rot in prison, or be beaten to death in the lobby of your building? Then line up with the scoundrels. So what should ordinary people do if, on the one hand, they do not want to be part of the criminal superstructure—for all of life in Russia has become a vast criminal machine—and if, on the other hand, they do not wish to march in the revolution? If all they want is a dignified human life? Today, as in the past, these are the options: “internal emigration,” or alcohol if you do not have the ability to leave, or actual emigration from the country. In the last twenty years, millions have left Russia. The first to leave are the highly educated—the intellectual and entrepreneurial bloom of the nation, the foundation of the middle class, which is born in the big cities, but which the government will not allow to get up on its feet. Czars, general secretaries, presidents—in Russia they change, but Pushkin remains, and each regime bows to the poet, hoping to derive from him a spiritual legitimacy. “Pushkin is our everything!” was the slogan that boomed from every rostrum in 1937, the year of the worst terror and the most pompous celebration of Pushkin’s jubilee: the entire country, from both sides of the barbed wire, celebrated the hundredth anniversary of the poet’s death. 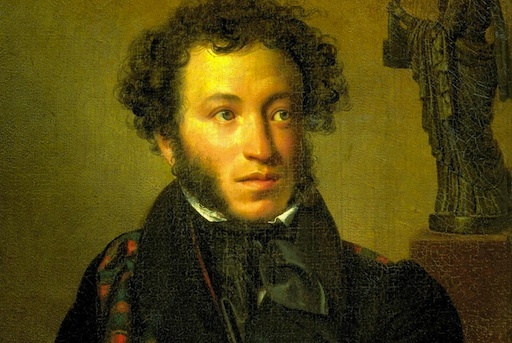 It is not surprising, then, that the post-Soviet regime supported the tradition of celebrating Pushkin. The bicentennial of the poet’s birth, in 1999, was celebrated with pomp and grandiosity that eclipsed even Stalin’s public rites. All this happened with the war as a backdrop, a war waged against its own people in Chechnya. And again “Pushkin is our everything!” sounded everywhere. But these mythical times when Nicholas I was Pushkin’s First Reader, and Stalin personally read the books of the winners of the Stalin Prize, are long gone. The poet cannot align himself with this usurper of the throne, not least because this despot doesn’t read. It is impossible to imagine Putin, the gray little KGB colonel, with a book in his hands. The new authoritarianism in Russia could not care less about literature; its priority is to control the electorate through television. For most of Russia’s population, television is the main source of information. In the twenty-first century, the “zombie box” presents its audience with the same painfully familiar picture: the holy Fatherland—though now without any ideology—surrounded by an ocean of enemies led by the United States, and only the father of the nation can save the country from its foes. But new times call for new measures, even from dictatorships. The government no longer destroys the “other” Russia physically; it simply squeezes it out, toward emigration. After all, the borders are open. Those who are dissatisfied with the regime are labeled foreign agents. (“Whoever doesn’t like it here can go on back to America, to your masters!”) The question of freedom of speech is solved in a purely technical manner: the dissatisfied are banished to the Internet ghetto. On opposition websites you can mostly still rail against the government all you like, but not one anti-government statement will make it past the state censors on television. The falsifications of the Duma elections in December 2011 were a fuse, and society, first in the big cities, indignant at the outrageous machinations of the authorities, exploded. Protests spilled from the Internet ghetto into the streets. In just a few days, it was as if Russia had woken up and become a totally different country. Suddenly it turned out that the people who did not want to live in the corrupt system that Putin had built were not a marginal minority. There were a lot of them. In Moscow, they were even the majority. The feelings that had given people wings twenty years ago reawakened: “It is our city, it is our country, and we care!” What is happening in Russia now, before our very eyes, is the emergence of a civil society from a patriarchal order. The counterweight to the totalitarian mentality of the state and the population is, for most Russians, a new conception of man and a life worthy of the human image. The events of the last few years have split the country. So far, the war between the criminal empire and the educated population is largely a cold one. But each arrest of an opposition figure, each draconian new law passed by an illegitimate Duma, only radicalizes this resistance. A “tightening of the screws” has ceded all power to the criminal gang of oligarchs and bureaucrats, and the protest movement once again finds itself displaced into the Internet ghetto. No one in Russia wants the barricades of revolution. We have too much bad experience of revolution behind us. Yet it is impossible to keep living in the constricting and humiliating space that is Putin’s empire. There is only one option: information. The opposition’s best weapon is information. For no one really knows what Russia is today. The sociological data are too unreliable. If you hold an election there on any given Sunday, who will win? The number of people whose brains have been cleansed by Putin TV may be a majority. Only free information, only free access to the sources of free speech, can change them, and make them other than what they are now—citizens of the “other” Russia. The second Russian democracy, at the beginning of the 1990s, lasted longer than the first, which ended after just a few months with the October coup. Now Russia has a third chance. Will it let it slip away again? Mikhail Shishkin is a Russian novelist who lives in Moscow, Berlin, and Switzerland. His novels have won all the major Russian literary prizes and been translated into twenty-eight languages. This essay was translated from the Russian by Julia Ioffe. Most of this money was stolen by the government and local officials.